In the UK, the famous chef, Jamie Oliver, started several campaigns targeted towards British Schools. He wanted to highlight awareness of how unhealthy school meals were. He found that the nutritional levels were very poor, due primarily to processed and Junk foods. 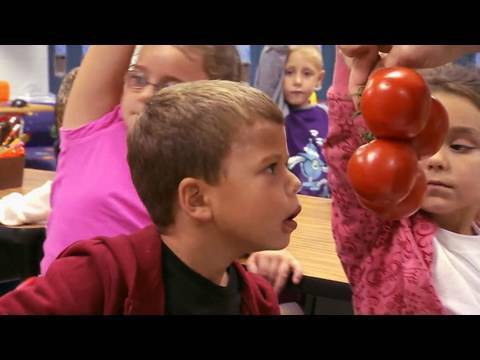 He campaigned to teach children all about food in its more natural state. His campaigns caught the attention of the media, and he also bought his ideas to the US. One important finding was the limited knowledge about foods and in particular, fruit and vegetables. Children only appeared to recognize the most common fruits such as apples, oranges and bananas, with only a vague awareness of what fruit looked like prior to and during harvesting. In order to address this issue, he regularly demonstrates food, in its original state and encourages children and adults alike to 'go back to basics' as he describes it. Awesome Pencil Stubs Recycling Idea- Plant- Add Water- Lovely Fresh Herbs! You've Surely Eaten These Strange Fruits At Least Once!